filling it with mirrors, the way Eddie Ross has done? Most home buyers are drawn to a fireplace like moths to a flame. But in hot weather, a fireplace doesn't have all the magnetism it does on a snowy winter day. In summertime, all your rooms should feel cool and refreshing. Feng shui experts say that a fireplace makes a room “hot” because it represents the “fire element,” and that an empty, unused fireplace represents lifeless or drained energy. Even if you don't know beans about feng shui, you can't deny that there’s nothing appealing about an empty fireplace, no matter what the season. It’s a black hole in one wall. It looks like something’s missing or not working. Is there a way to showcase your fireplace without suggesting heat? Yes. Here's how. Whether you're decorating in a coastal style or not, you can't go wrong with an oversized clamshell﻿, either empty or filled with shells or plants. Real or faux succulents or a fern would add a summery touch. Photo: Ali Wentworth via Completely Coastal. 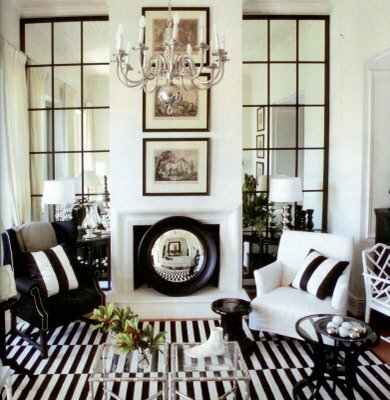 Diane Henkler at her blog, In My Own Style, designed this ever-so-sweet decorative fireplace screen. She made it no-sew, from cloth attached to a dressmaker's folding board designed to cut fabric. Keep animal prints packed away during warm months. No furry pillows allowed until autumn. In summer, flowers and plants make more sense than candles in the firebox. Keep your staging colors on the cool side of the palette. When in doubt, concentrate on white for a refreshing summer color scheme. Accessorize with glass and colorful ceramics rather than heavy crockery and earthenware. Make sure your firebox is clean, even if it is hidden behind a screen. 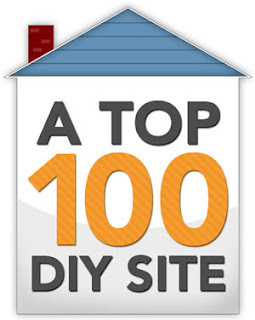 Buyers will look inside. 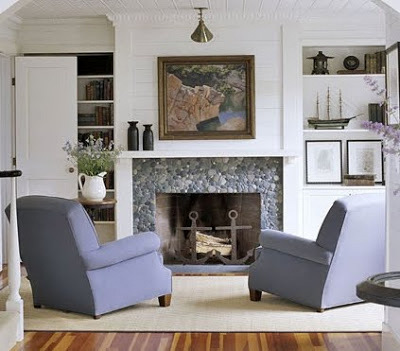 Your Realtor should indicate that your fireplace is a working fireplace if it is functional. I think it's legit to stage a fireplace that is not functional, as long as the MLS listing gives the true facts. 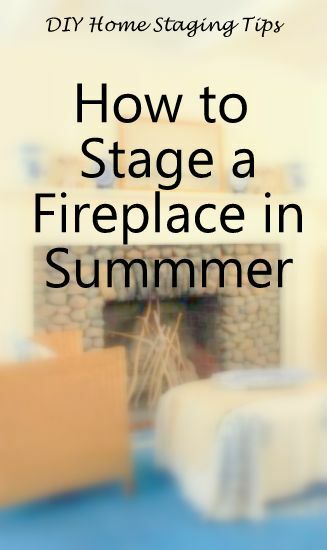 Need more ideas for fireplace staging? 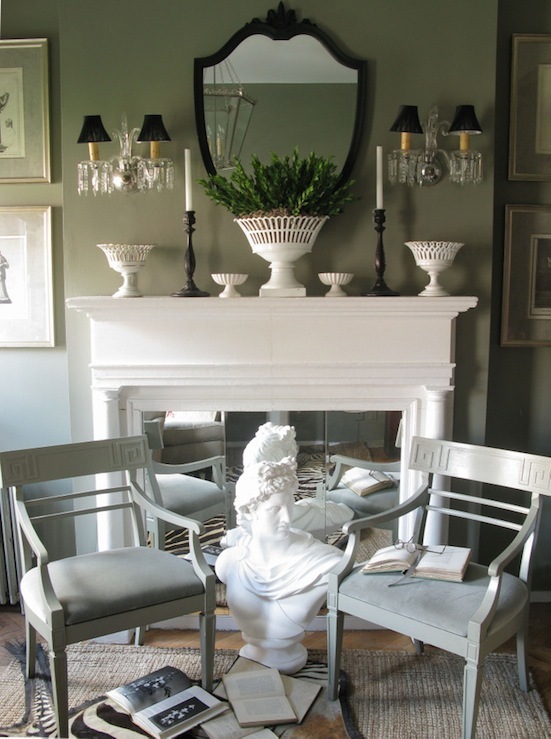 Visit my Pinterest board, Fireplaces Out of Season. If you download my $4.99 eBook, DIY Home Staging Tips to Sell Your Home Fast and For Top Dollar, you can start staging your home for market today. 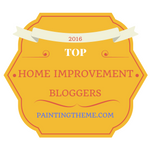 You'll see how easy it is to create the look and feel buyers really want in a home.